With a Bachelor’s Degree in English from Binghamton University and a background in journalism, Matt has worked in digital media since the start of his career in 2009. 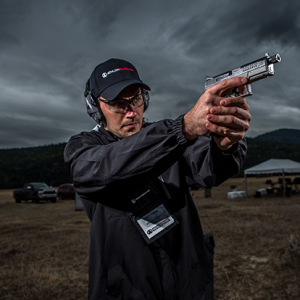 In 2014, Matt joined Harris Publications for his first foray into the world of guns. His work with Tactical-Life.com, PersonalDefenseWorld.com, and RealWorldSurvivor.com resulted in immediate growth and record numbers for the websites. In 2016, Matt transitioned into the role of Digital Manager after being acquired by Athlon Outdoors. He oversaw day-to-day website editorial operations and managed everything from digital advertising to social media. Currently, Matt is the Director of Digital Content, where he manages the creative direction and execution of daily content for all Athlon Outdoors digital properties and plans future written, video, and social content.